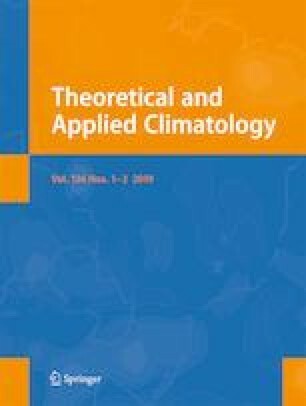 In this study, we investigated the potential influence of central and eastern Pacific sea surface temperatures (SSTs) on the unstable relationship between earlywood δ18O and climatic factors in the southwestern China from 1902 to 2005. The results show that the strength of the climate signals recorded in the earlywood δ18O series has declined since the late 1970s. This reduction in signal strength may have been caused by the changes in the local hydroclimate, which is associated with the increasing SSTs in the central Pacific Ocean over recent decades. Alongside these increasing SSTs in the central Pacific, southwestern China has experienced more droughts, as well as more severe droughts through the late spring and early summer during the central Pacific (CP) El Niño years than during the eastern Pacific (EP) El Niño years in recent decades. This increased drought frequency may have weakened the response of earlywood δ18O to climate variables. We gratefully acknowledge the journal editor and anonymous reviewers for their constructive comments on earlier versions of this manuscript. Many thanks are due to the National Climatic Data Center (NCDC), the National Center for Atmospheric Research (NCAR), the Climate Research Unit (CRU), and the Global SPEI database for providing the relative gridded data, as well as the Royal Netherlands Meteorological Institute (KNMI) website for providing the relative spatial correlation analysis used in this study. This research was supported by the National Natural Science Foundation of China (41401219, 415711961, 41630529, and 41690114), the fundamental Research funds for the Central Universities (Projects No, GK201801007) and by the Knowledge Innovation Project of the Chinese Academy of Sciences (29Y329B91).